The Association is managed through its Board, consisting of the Chairman, Deputy Chairman and Immediate Past Chairman of the Association, together with appointed representatives from each of the Association’s eleven Regional Branches. Day to day management of the Association’s affairs is undertaken by the Management Team, consisting of the Chief Executive, Deputy Chief Executive, Executive Director (Resources), Executive Director (Commercial), with the Chairman, Deputy Chairman and Immediate Past Chairman as ex-officio Members. The Annual General Meeting of the Association is held during its Annual Conference and is the Association’s policy making body. 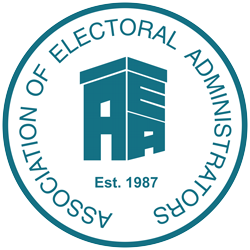 The AGM has the authority to make changes to the Articles of Association which is the document that details how the Association is managed and other matters related to membership categories and the election of national officers. The Articles of Association can be downloaded here. The Chairman, Deputy Chairman and Immediate Past Chairman are elected officers. The office of Chairman is only held for one year and the Deputy Chairman then succeeds to the office of Chairman. The Chairman then becomes the Immediate Past Chairman for a period of one year. As the Deputy Chairman automatically succeeds the Chairman, elections are held annually only for the office of Deputy Chairman. As mentioned above, both the Chairman, Deputy Chairman and Immediate Past Chairman are ex-officio members of the Management Team. The Deputy Chairman holds a key and varied role within the management of the Association. The person elected will effectively serve a three year term of office so it is quite a commitment. You can follow this link to find more details about the role and what it involves. The Association has adopted various codes of conduct and produced policy documents related to practice adopted by the Association such as the Code of Ethics and Professional Standards. Please e-mail Chris Solich, Support Services Officer (Administration) if you require any further information.